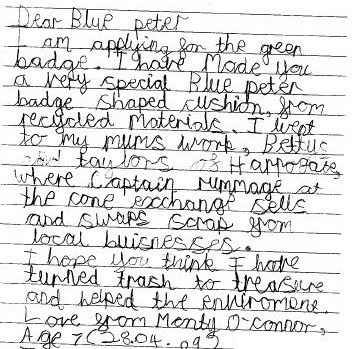 We were thrilled to be part of one of our younger customers efforts in successfully applying for a Blue Peter ‘Green’ Badge. Monty had visited the Cone Exchange with his mum and took inspiration from the items that our volunteers had made from recycled materials. 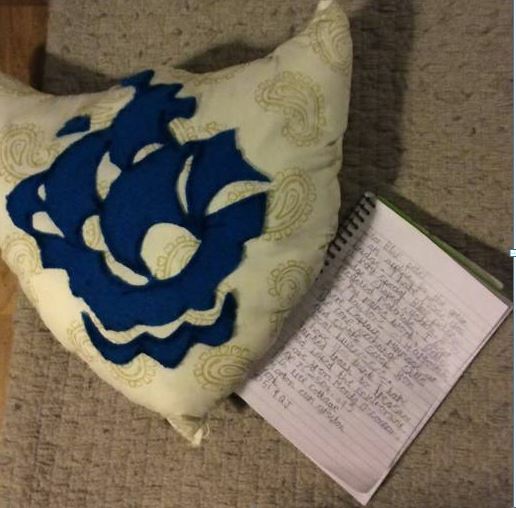 Taking away material and felt offcuts Monty created this lovely Blue Peter cushion and wrote a letter explaining where he had got the idea from. © 2019 Bettys & Taylors Group Ltd. All rights reserved.